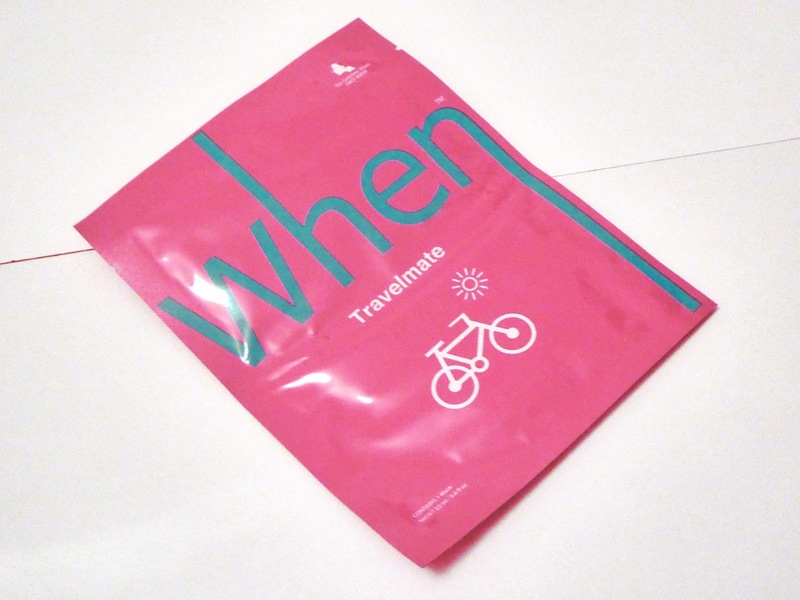 One of the items in my October birchbox that I’ve just gotten around to using was the When Travelmate facial mask, which is apparently a mask you would use to refresh your skin after hours of travelling around in the sun and wind. I’ve had a particularly long day today and my skin is worn out and tired looking so while it doesn’t exactly match up to what they recommend, I thought it was about time I gave it a go and that it wouldn’t do me any harm. SO, here are my thoughts on it. First of all, the packaging is blooming adorable! It’s really simplistic but that definitely adds to the appeal. I love the bright pink colour of the packaging and how there’s both written and visual instructions on it. The mask itself was a little fiddly to get on but nothing too major, although since I have such a small head it definitely didn’t fit where it was supposed to! It felt incredibly wet against the skin which is obviously because of the aloe vera gel and serum but I wouldn’t say it was particularly uncomfortable. I could almost feel the moisture soaking into my skin which is definitely a good sign. It smells lovely and fresh which again gives the impression that the ingredients are natural and good for your skin. You’re supposed to leave it on for around 30 minutes and massage any product left on your face into the skin and into your neck to fully take advantage of the moisturising qualities. When I got around to taking the mask off, my face felt incredibly hydrated and fresh, which surprised me really because I’m quite skeptical where face masks are concerned but this one really does seem to work. I will say that my face was a little bit red but whether that’s normal or not, I don’t know. I’ll come back and edit this if anything more serious happens to my skin but it doesn’t feel like I’m having a reaction to it. All this said, I definitely think I’ll be treating myself to a few more of them at some point. They are a bit pricey at £25 for a pack of 4 but as a treat or for a special occasion I don’t think it’s too bad. Have you tried this brand or any of their products before? What did you think! Let me know! Next Post Travel: 10 places in 10 years.